The former president gave a talk on how to build a digital nation at tech festival Brain Bar Budapest. His message was clear: To move ahead, other countries should emulate Estonia’s model of government-issued digital ID’s. “Every European country should have a digital ID offered,” he told me. TNW sat down with Ilves and talked to him about governments’ role in a digital age and what actions must be taken by them for a viable future. In 2016 and 2017 we’ve seen new at least five different types of attacks on electoral democracy, according to Ilves, such as breaking into servers, publishing doctored stolen info, the onslaught of fake news, and Cambridge Analytica’s new ‘dark ads’. However, the fundamental problem that lies behind these breaches could be governments’ lack of understanding when it comes to technology. In Germany, for example, there’s currently a bill in the Bundestag that proposes to implement €15 million fine on people that spread fake news. That doesn’t really seem to be a viable solution as it’s reactionary and close to violating people’s right to free speech. A better solution to the problems that we face is building government systems from the ground up that are adapted to the new digital landscape and increased need for security. It’s a complicated endeavour which requires years of work, but for Ilves, government issued digital IDs are the best place to start. Digital IDs are the key because the whole theft of identity is the central issue. Spear phishing, for example, what are they trying to do? They’re trying to get your identity because once they have it, they can do anything that they want with your data. That’s how they got into the Democratic National Committee and all those kinds of attacks. In Ilves’ experience, most of the major problems that have to do with IT are in one way or another related to not having a secure identity online. That’s not as much of a problem in Estonia, because as early as 2002, the government issued chip-based digital IDs to all its citizens. The incredibly forward-thinking initiative was in part done out of necessity, as almost the entire population had to renew their passports, issued 11 years before when the country regained its independence from the Soviet Union. This nation-wide need for new IDs was extremely opportune to implement a new system, as it was important to have a big enough part of the population participating for it to succeed. The problem [with digital IDs] is that you don’t get the services unless it’s universal. There are always early adopters, perhaps 15 percent, but governments and companies will not develop services for only 15 percent of the population. When every single Estonian got a new type of ID, it caused new services to develop quickly. Today, the usage of a digital ID is heavily ingrained into daily life in Estonia as people do not only use their IDs to communicate with their government in an efficient way, but also for a myriad of private services, such as accessing bank accounts and online purchasing. 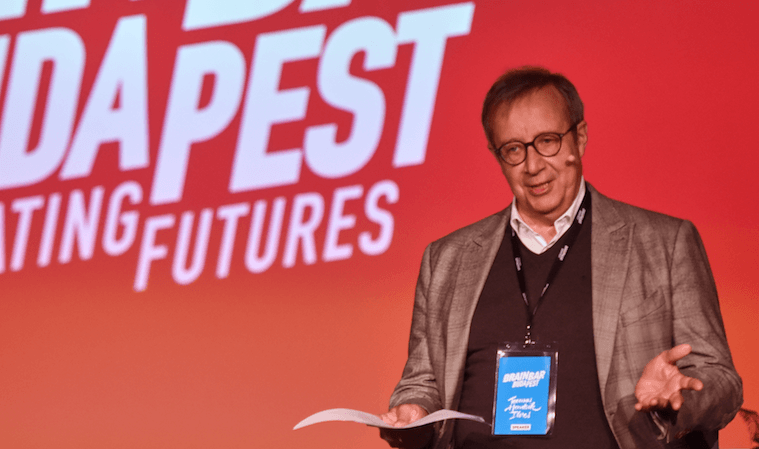 Ilves is convinced that in the future, having a secure online identity will become a standard, and that it will probably have to be issued by the state. “You need a sovereign to do it,” says Ilves, “of course you can have a company that guarantee your identity, but what guarantees the company?” That’s why legislations and political will is extremely necessary for moving forward. For all the talk about becoming a Single Digital Market, the EU is severely lagging behind in bringing partnerships into the digital age. “What I think we Estonians need to do, is to get other countries to move ahead. We’re a small digital island, but you want [these programs] to work anywhere.” In other words: The breakthroughs in Estonia aren’t worth much if nobody else is doing it. For Ilves, there are certain services that should be all EU-based. For example if he would get sick in Hungary, he should be able to go the pharmacy, stick in his digital ID and get his Estonian medicine, but it’s going to be a while until Europe will reach that point. It’s obviously an immense and difficult task for governments to implement digital IDs — as most countries have a far larger population than Estonia and are not lucky enough to have the entire nation apply for a new ID at the same time — but it’s far from being impossible. Especially because adapting to new realities is a necessity for modern societies and we already have the technical capabilities — Estonia did it 15 years ago! What makes it even easier, says Ilves, is that the Estonian government has always been prepared to share the lessons it learnt implementing digital policies. Estonia already gives away for free it’s technical architecture, open-source and non-proprietary software and operating systems, which should provide other countries with ample tools to kick off their own digital services. Technology is everywhere, and everyone has access to it, more or less. It really comes down to policies, laws and regulations. If you have the right policies, support them with the right laws and you regulate them well — then you can move ahead […] without them you won’t get stuff happening. That means that the only thing countries need to provide themselves are politicians with sufficient understanding of technology and clear policies — which is perhaps easier said than done. Ilves has spoken with politicians and government officials all over Europe about digital policies, but sometimes even the ones interested in tech do not grasp how it actually works. Some talk irresponsibly about creating a general European backdoor, which is terrible idea as it would create a holy grail for hackers. Ilves, who’s completely against creating backdoors, says that politicians need to understand technology better as they play a vital role in technological advancement. Methods, software and policies will always need to be constantly updated — making the path towards becoming a digital nation a constant and living process. Government officials tend to put tech on the back burner all too easily, but the reality is that countries need to start the process of adaptation as soon as possible. The foundations of our democracy and daily lives are increasingly moving into the digital realm, and there’s a dire need for someone to take control of our identity there — or we’ll all face the consequences.